Page F30: Do regional auxlangs resemble each other more than their source languages do? Do regional auxlangs resemble each other more than their source languages do? I've been thinking about the role of regional auxlangs for the past few weeks and how promoting them compares to promoting more universal or artificial languages, ones like Esperanto/Ido/Lingwa de Planeta that are from the start intended to be used by the world as a whole. Regional auxlangs, on the other hand, would certainly like to be used in that role but in the meantime seem to be quite content to serve as 1) a common tongue between people of one linguistic branch, and 2) an introductory tongue for anyone outside of that branch that would like to become familiar with a language of that type. Promotion of this type of language can differ as well. 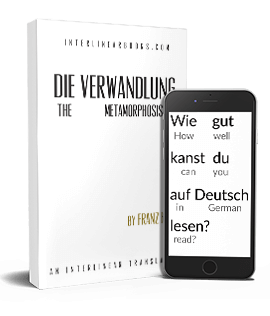 A book written in Russian, German or Italian can very easily be translated (or more or less converted) into a regional auxlang which, though still a foreign language, would be much closer to the original. Are you a fan of Dostoevsky, Hesse or Hugo and would love to read their works in the original language but don't have the time to study Russian, German or French to fluency? If there was a translation in Sloviansky, Frenkisch or Interlingua (or Occidental or a number of others) though you could read a much closer approximation than the English translation you would otherwise use, and what's more you could understand it in a short time as well. What I've been most curious about though is whether the vocabulary in these Indo-European regional auxlangs resembles each other more than their source languages do, as regional auxlangs are generally based on the following: 1) finding the most common word to all the source languages, and then 2) working back in time a little bit to a common prototype of the modern word. So in a sense, each one of these is one step back down the linguistic family tree that began at the trunk as Proto-Indo-European and eventually branched out into all the languages we find today. A comparison of all these is well beyond the scope of a single post though, so I won't be drawing any conclusions today. I looked up a few sample words for fun though. The Frenkisch dictionary is here, Slovianski is here and Interlingua is easy - just go to Interlingua.com and do a search. Perhaps someone else has dealt with this subject before and I won't have to do a full comparison by myself. So why is this important? Simply, because auxlangs are about linguistic unity (as an L2 of course, not a mother tongue), and if perfect unity is impossible due to an inherent dislike by most of 'artificial' tongues, perhaps a slightly improved unity is possible. That is, regional auxlangs that are not only not too difficult to learn, but also resemble each other to a certain degree more than the individual languages they are based on.